The American Institute of Dermatology is working with the American Academy of Dermatology this Spring on a campaign called SPOT. The focus of this is the identification, treatment, and prevention of skin cancer. As part of the SPOT program the American Institute of Dermatology offers free skin checks in their office every Thursday from 4 - 5pm, 171 Webb Drive, Davenport, FL 33837 - Phone: 863-386-0786. Click HERE for the Spot Skin Cancer Fact sheet. Click HERE for more information on reasons to see a dermatologist. Ladies Night Event - Wednesday, April 17th, 5:30 - 7:30 p.m., Ovation Bistro & Bar, Davenport, Bring your friends for a fun-filled evening of drinks & converstation. Hosted by Dr. Tutu Cheng of the Heart of Florida Regional Medical Center. There will be 2 give aways for Free Botox to 1 area. Please RSVP to 863-419-8140 by Thursday, April 11th or register on EventBrite: https://www.eventbrite.com/e/ladies-night-event-tickets-59894465960?AFF=heartoffloridaregionalmedicalcenter-organic-traffic Click HERE for the flyer. Enrollment for the summer and fall 2019 semesters at Polk State College has started - Click HERE for more info. classes, Labyrinth and Prayer Garden, Community Garden and more….RISING STARS – RITE OF PASSAGE EXPERIENCE - A 12 month discussion that includes values to live by, anger management, confronting, bullying, dealing with conflict, public speaking, storytelling, problem solving & more. Meets 1st & 3rd Saturdays monthly, 8:30 a.m. - 3 p.m. (lunch & breakfast included). 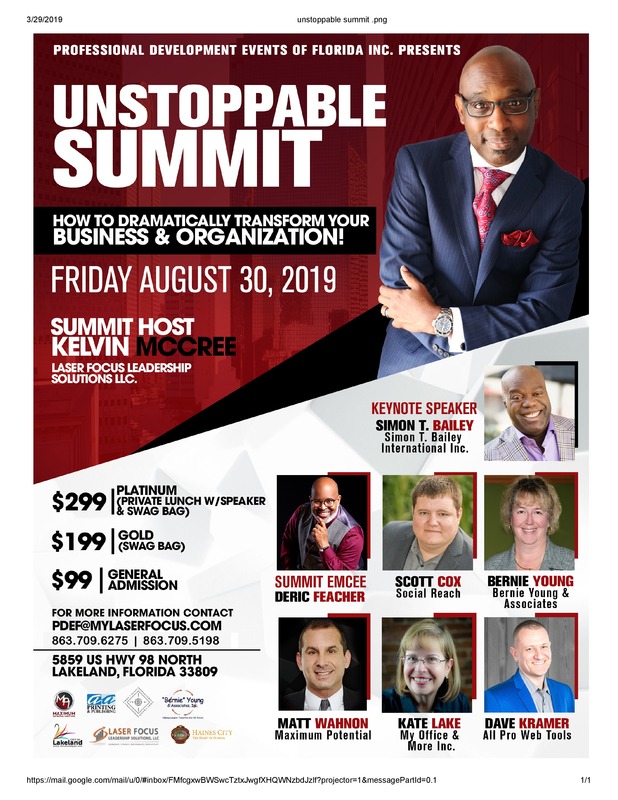 Click HERE for the flyer and more information. May 4th - Community Event - Click HERE for the flyer. 16th Annual Best Places to Work, Career Source Polk -Apply today at https://www.careersourcepolk.com/employers/best-places-work-awards/. Click HERE for the flyer. MIDFLORIDA Credit Union's Teen Takeover - Saturday, April 13th - Click HERE for the flyer. Project Management Prep Certification Boot Camp - April 22 - 26, 2019, Registration Deadline, April 17th - Click HERE for the flyer. All Saints Academy's Multi-Chamber Mixer - Tuesday, April 30th, 5:00 - 7:30 p.m., All Saints Academy Barnett Learning Commons, 5001 FL-540, Winter Haven, FL 33880 - Click HERE for the flyer. Personal Finance Center of Polk County Financial Stability Program - Click HERE for more information on the program. Click HERE for the class schedule. EEC Solutions is proud to announce that, as part of our training services, we will be offering CyberSecurity training to any interested candidates. 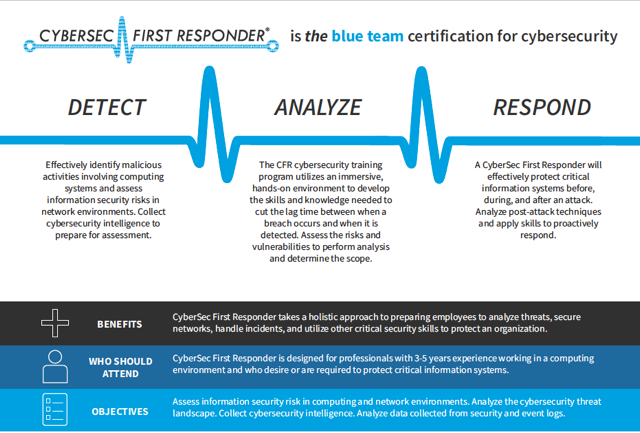 For more information about the CyberSec First Responder (CFR-310) course visit our website www.dbaeecsolutions.com, or contact us via email at support@dbaeecsolutions.com. ​Laurel Elementary School in Poinciana is running a food pantry, providing weekend food backpacks and holiday meals for their neediest families. They are in need of a golf cart to help with food pantry distribution. A golf cart donation would enable them to distribute the food to students quickly and efficiently. If you or someone you know is able to help by donating a golf cart or funds to purchase a golf cart, please contact Sandra Collazo at Laurel Elementary School - 863-427-1375.
with a free subscription to the “Friends of Bok Tower Gardens” eNewsletter. Call 863-676-1408 for more information or visit www.boktowergardens.org to join. For additional information please visit www.boktowergardens.org. The classroom sponsor program is a wonderful opportunity for area businesses and parents to support students and teachers. Your donation is a great way to provide teacher with the ability to purchase enrichment materials for the classroom to enhance learning. Your business will be recognized in Bethune's monthly newsletter as well as at school celebrations and all social media sites. Your donation is fully tax-deductible. If you have any questions, please contact Ryane Redgrave at 407-222-1437 or the school office at 863-421-3334. Click HERE for the sponsor form. The WAY Center needs your help! The Women and Youth Center “The WAY Center” is looking for the following donations for The WAY Home that is able to house up to 13 women & children in need or crisis for up to one year. Financial Contributions; Volunteers; Household Items; Furniture; Medical Items; Kitchen Items; Children's Items; Hygiene Items. For more information on the specific Items needed or if you are able to help, please contact the WAY Center at 863-422-2309. Florida FFA Leadership Training Center-5000 Firetower Road in Haines City! Are you still looking for a unique venue to hold your special event? Whether an intimate luncheon or a grand evening event for your entire company, church or organization…we are here to serve you! Well, consider this…an inviting lodge, a cozy fireplace, wonderful food and a great social setting, all nestled together right here in your very own neighborhood. serve your date today! Contact: Evie Nagel or Jacob Raburn to plan your event!